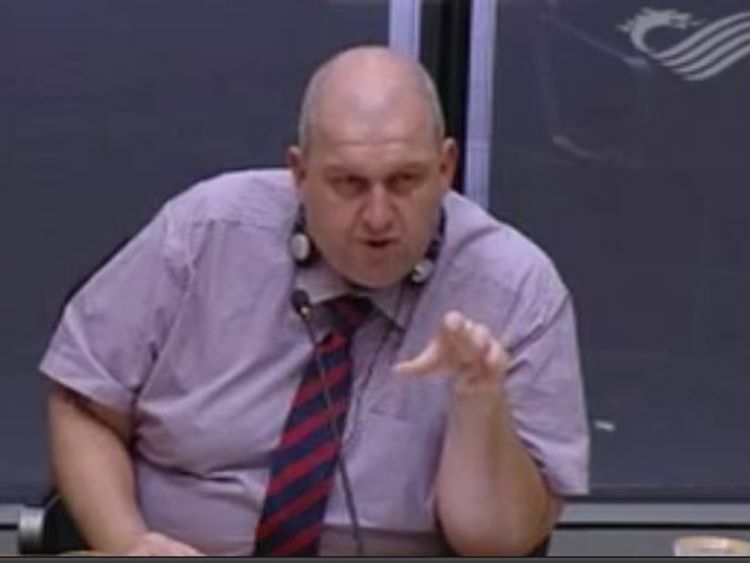 Former Welsh government minister Carl Sargeant, who was suspended last week amid allegations about incidents with women, has died. The 49-year-old served as Labour's Welsh Assembly Member for Alyn and Deeside since 2003. Mr Sargeant was married to Bernie and they had two children, Lucy and Jack.He had lived in Connah's Quay, in his constituency, all his life.Before entering politics, the keen football fan worked at a chemical manufacturing plant and was a quality and environmental auditor and industrial firefighter.In a statement following his death, his family said: "Carl was a much-loved husband, father and friend. "He wasn't simply a part of our family. He was the glue that bound us together. He was the heart of our family. We loved him so very much. "He was the most kind and caring husband, father, son and friend. We are devastated beyond words, and we know our grief will be shared by all those who knew and loved him. "We are in shock and grief. We ask that our privacy is respected at this time. "Prime Minister Theresa May said on Twitter: "My thoughts are with the friends and family of Carl Sargeant following his tragic death. "Labour leader Jeremy Corbyn also described himself as "shocked, horrified" and "deeply sympathetic" to Mr Sargeant's family.Asked if there should be a change in the way allegations of impropriety are dealt with, Mr Corbyn added: "All allegations must be examined and must be pursued. "But there also has to be great pastoral care and support given to everybody involved in these accusations and also that will deal with them, all parties, as quickly as possible. "According to Sky sources, Mr Sargeant was receiving high level support from various parts of the Labour Party - both in Wales and Westminster - at the time of his death, with the purpose of checking on his well-being.Sky News understands this is standard procedure for those accused of inappropriate behaviour and that Kelvin Hopkins, the Luton North MP denying allegations of inappropriate behaviour, is also receiving support.Sky News also understands Mr Sargeant was aware of the nature of the allegations made against him. Carwyn Jones said: "Carl was a friend as well as a colleague and I am shocked and deeply saddened by his death. "He made a big contribution to Welsh public life and fought tirelessly for those he represented both as a minister and as a local Assembly Member. "He will be a great loss both to our party and to the Senedd. My heartfelt sympathies are with his family at this difficult time. "The UK Government's Wales Secretary, Alun Cairns, said he was "shocked and saddened by the tragic news".Andrew RT Davies, leader of the Welsh Conservatives, said: "This is unspeakably sad news. Our Parliament has lost a stalwart, and many of us have lost a friend. "The Welsh Assembly suspended proceedings on Tuesday afternoon following the news.